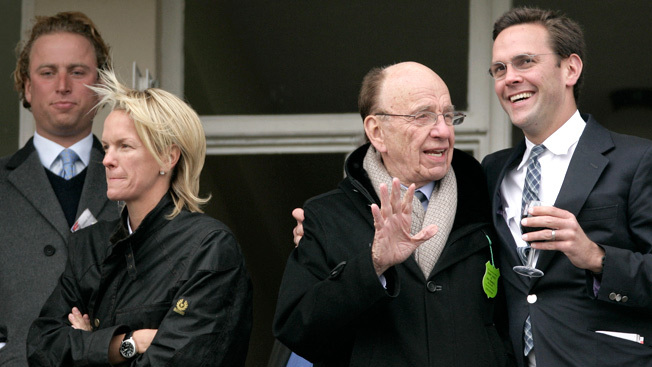 The appointment of Rupert Murdoch's daughter Elisabeth to the News Corp. board is reportedly dead in the water. The move to place Murdoch fille on the board had been expected to take place at today's board meeting in Los Angeles. But that maneuvering was dashed over the weekend in a bid to appeal to shareholders. Today's meeting is the first time the News Corp. board of directors will convene since the phone hacking scandal exploded over a month ago. The board, composed almost entirely of Rupert Murdoch’s cronies, has suddenly had the spotlight directed at its ability to oversee a public corporation after decades of compliant service to Murdoch and his family’s business interests. Last spring her father engineered News Corp.’s acquisition of Shine, Elisabeth Murdoch’s production company. Since then, her nomination to the company’s board was a foregone conclusion—despite a lawsuit by News Corp. shareholders claiming that nepotism overshadowed investors’ interests in the deal. In a statement released by News Corp., the company explained that Elisabeth felt it would be “inappropriate” for her to join the board at this time. Yet chances that Murdoch will cede any of his omnipotence over the board are unlikely. The need to soothe shareholder concerns, however, is another matter that Murdoch and the board will want to address—and removing Elisabeth from the equation accomplishes that end. “I think [the decision about Elisabeth] signals that the company is trying to make amends with it shareholders. That would be another public relations flash flood. Cosmetically speaking, it’s a good idea, but it doesn’t alter the game,” said Charles Elson, a leading authority on corporate governance issues and a professor at the University of Delaware.